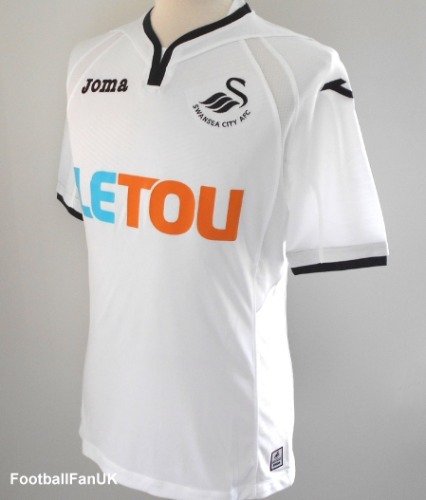 Official Joma white home shirt for Swansea City AFC for the 2017/18 season. New with tags in Joma packaging. - White with black trim. - Joma Dry MX technology. - Joma product code SN.101011R17. - New with tags in Joma packaging.